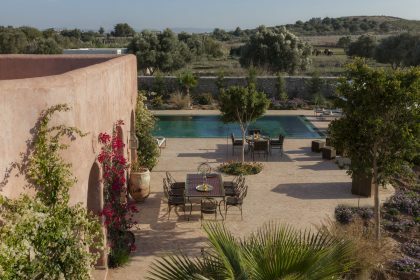 The Atlantic town of Essaouira is a wonderfully bohemian destination and the perfect place to enjoy the heat of the north African sun and beach. 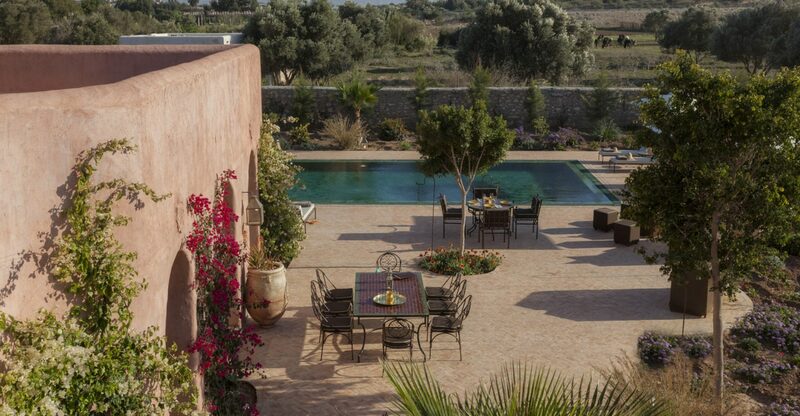 Life here is laid back and vibrant. 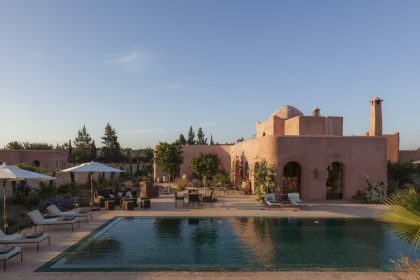 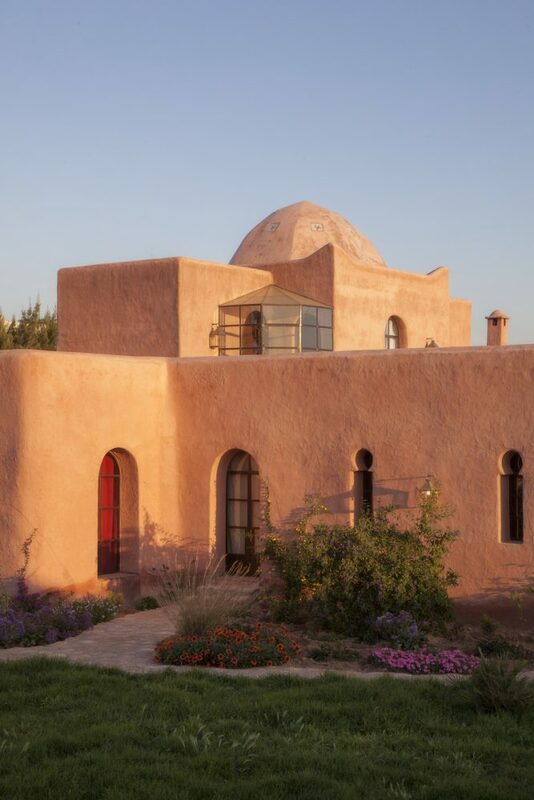 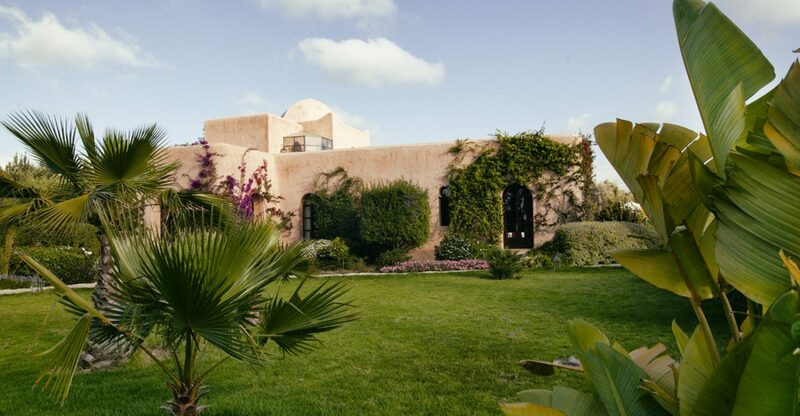 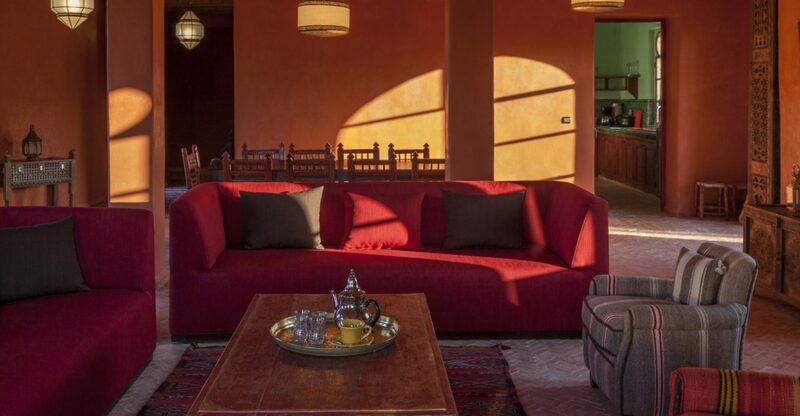 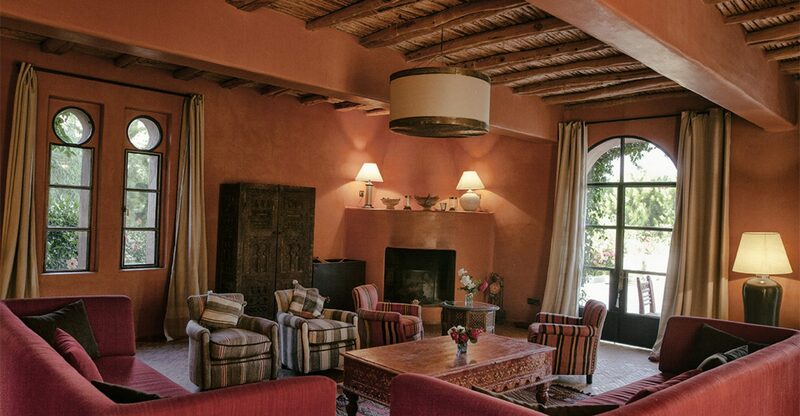 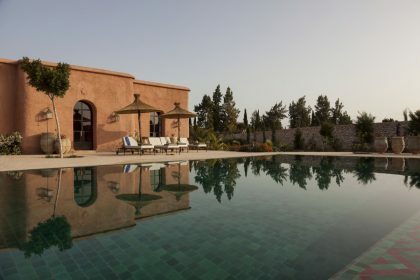 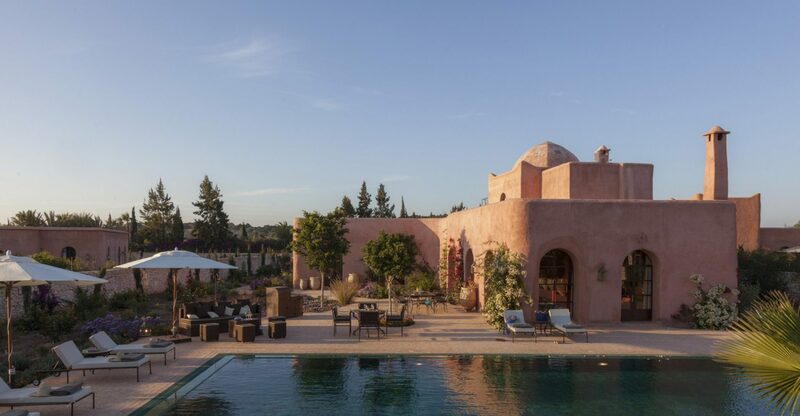 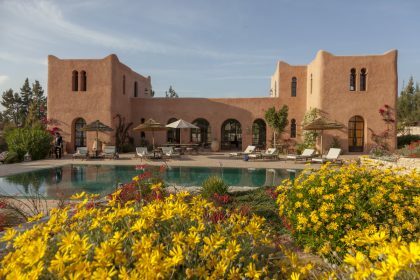 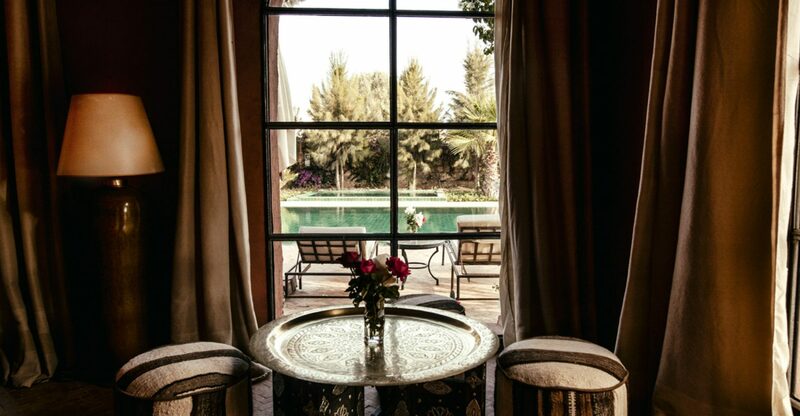 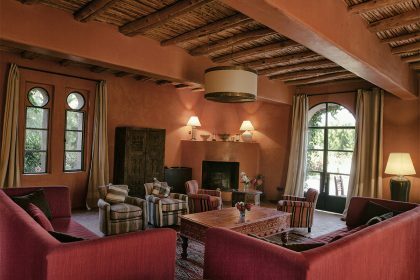 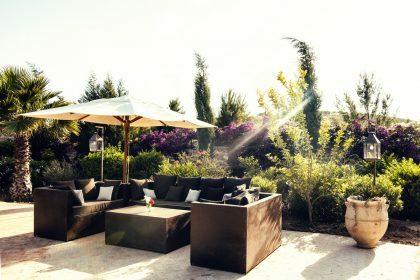 Villa Primera is a beautiful, privately owned villa situated on the edge of the grounds of Le Jardin des Douars hotel. 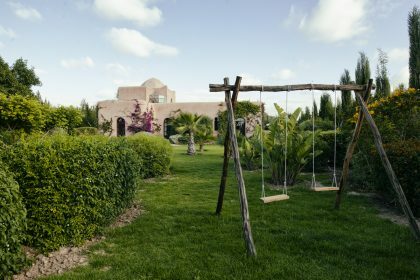 The joy of renting a villa within the grounds of a hotel is that you can dip and out of the hotel amenities if you wish, or stay well away from the gourmet restaurants and spa facilities. 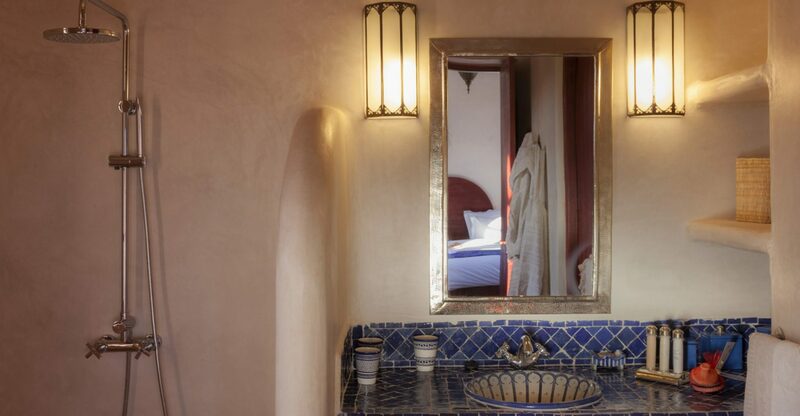 Depending on how the mood takes you. 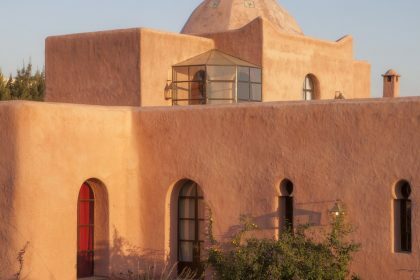 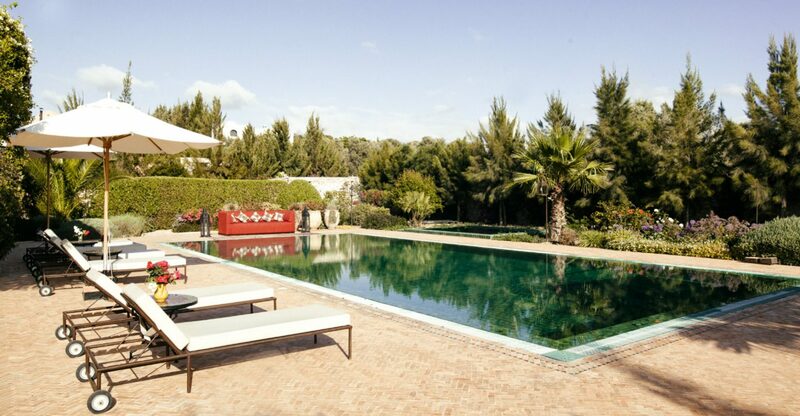 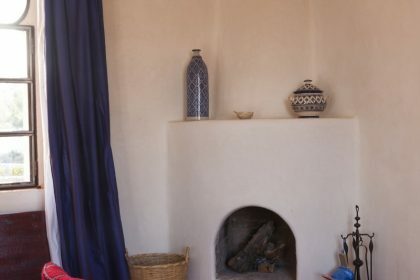 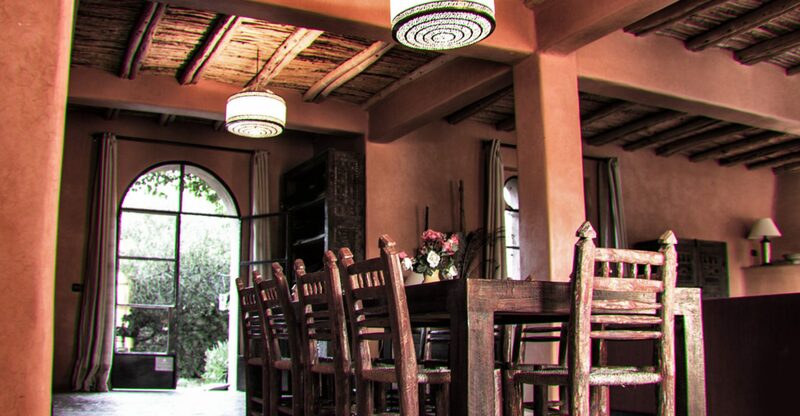 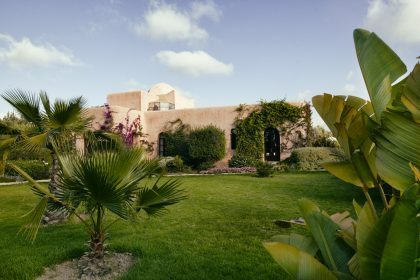 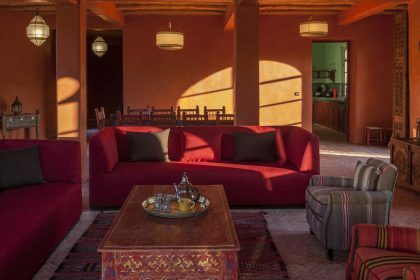 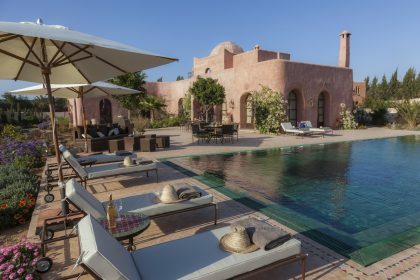 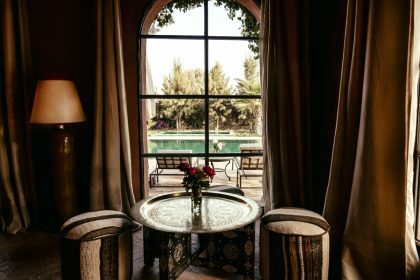 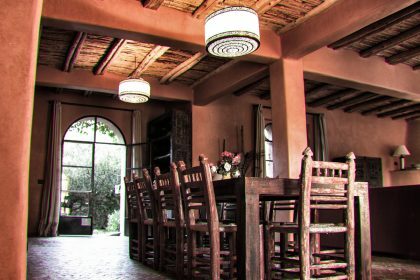 The house is generous in size and has a great pool terrace with tiled floor, there are lots of different places to sit by and near the pool, take a Moroccan tea in the shade, eat breakfast in the bright light of the morning or dine under the stars. 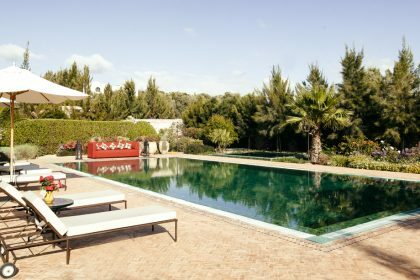 The pool is heated to a constant temperature and has great comfy seating around it, and there is a small heated wading pool for children. 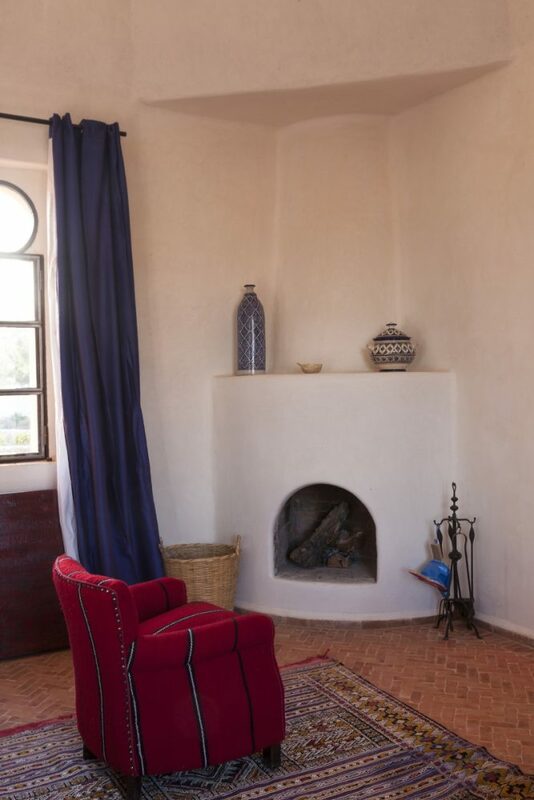 Inside the house the deep reds of Morocco can be felt in every corner, local furniture and fabrics have been used to great effect and the large arched doors mean the house is flooded with light. 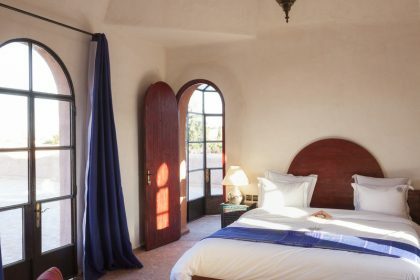 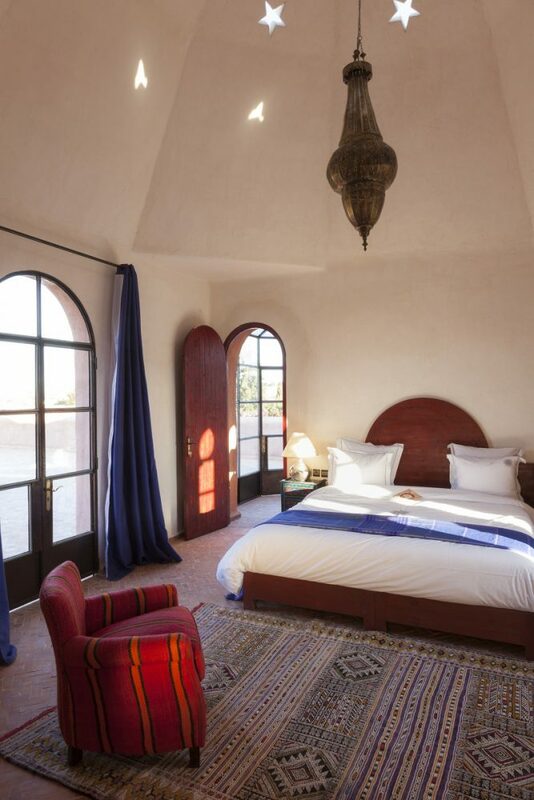 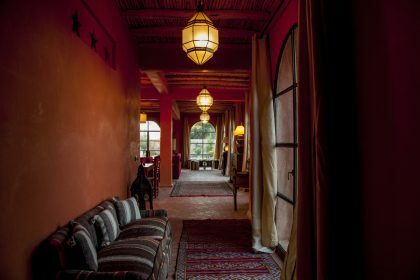 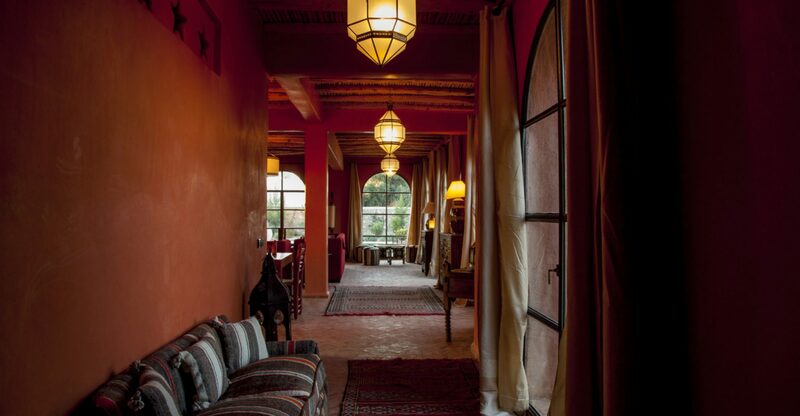 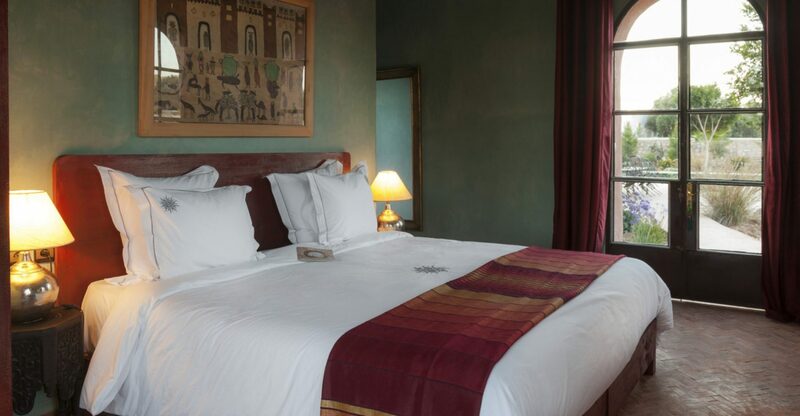 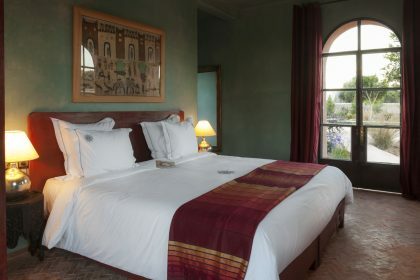 Bedrooms have beautiful local rugs adorning the authentically tiled floors, beautiful Moroccan lamps hang from the high ceilings and deep colours have been used throughout. 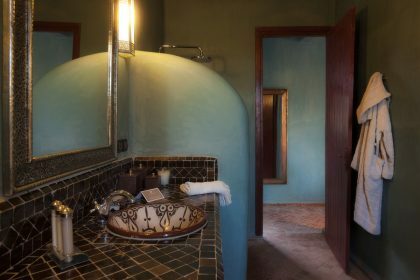 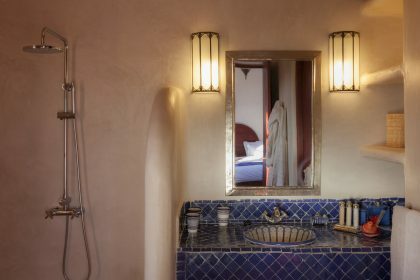 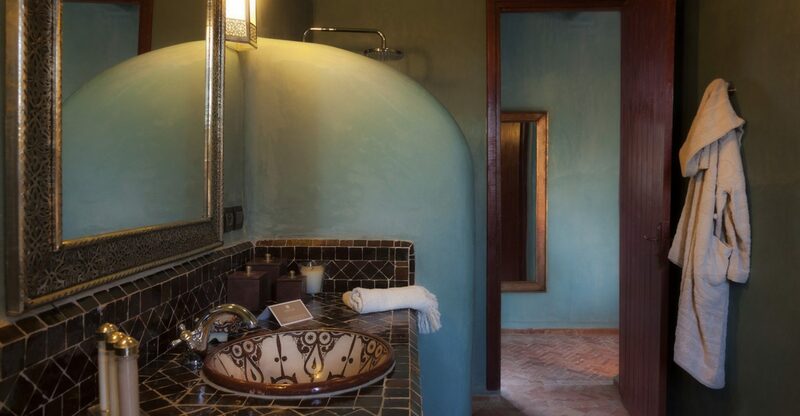 There are stunning tiles in the beautiful bathrooms, dressing gowns, fluffy towels, linen sheets… the list is endless! 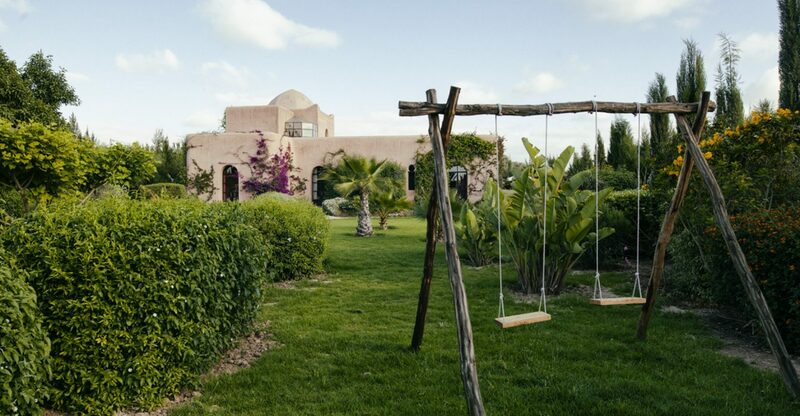 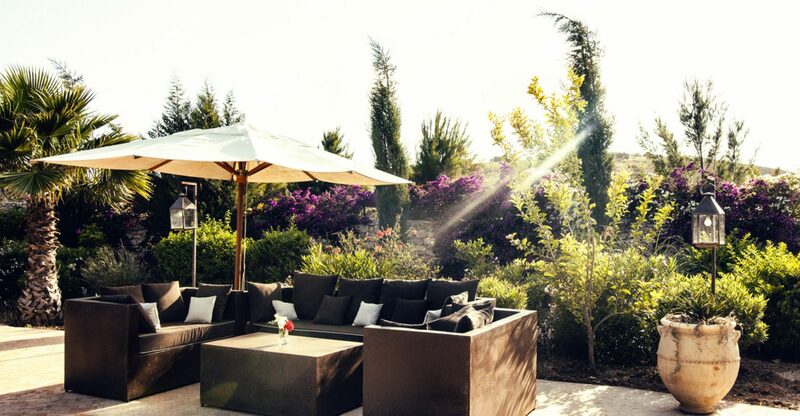 Children will love it here as there is a petanque pitch and swings in the gardens where they can play while you enjoy a drink by the pool or dine on the terrace.